The Digital Divide Is Evolving – How Can We Catch Up? : Learnosity Blog The Digital Divide Is Evolving – How Can We Catch Up? With a technological revolution upon us, how do we navigate the digital divide without falling over the edge? Just over 500 years ago, the invention of the printing press ushered society into the age of the first mass medium and promised equal access to a technology previously reserved for the elite: the book. Let’s consider for a moment the distinction between access and equity. The printing press allowed information to be broadly accessible, but did that translate to equal access to said information? And if “our printing press is the internet”, does access equal success? In 2016, the United Nations Human Rights Council passed a non-binding resolution for the “promotion, protection, and enjoyment of human rights on the internet” which condemns any country that intentionally disrupts the internet access of its citizens. While the UN can’t legally enforce it, it is a sign of the times to proclaim the restriction of the internet a human rights violation. Yet as forward-thinking as it may be, the resolution offers no real consequences beyond moral “condemnation”, nor any solutions for the digital divide that counts 29 percent of worldwide youth offline. Solutions require more than condemning “bad guys”, as technology doesn’t exist in a vacuum. The digital divide mirrors the prevailing socio-economic divides we already see – between rich and poor, educated and uneducated, men and women, urban and rural areas – and is significant because it means disadvantaged students have less access to computers and high-speed internet at school. As a result, they have a harder time accessing educational software and tools, which causes achievement gaps (also called the “homework gap”) to grow. While the US connectivity gap has decreased by 84 percent since 2013 and the gap in high-speed internet access between higher-income and lower-income families has been cut from 50 to 22 percentage points, a quarter of lower-income families still don’t have high-speed internet access, compared to just 4 percent of higher-income families. It’s idealistic to think that throwing technology into the hands of students and walking away will solve all our problems and not perpetuate them. As we slowly chip away at closing the connectivity gap, we find media usage – levels of digital literacy, content being consumed, and time spent in front of the screen – shifting the discourse from a technology divide to a content divide: how is technology being used and how much? Once upon a time, the printing press created never before seen access to books but the rampant illiteracy and social inequalities exacerbated the prevalent gaps between those who could access and successfully leverage books to those who couldn’t even read the covers. While the technologies we’ve used as learning tools have evolved, the social inequalities are still as rampant as ever. The data reveal that low-income families are still facing the consequences of technology, whether it’s not having enough access or having too much. People have always feared new technology. Plato believed that writing was a step back for truth. In the seventeenth century, philosopher and mathematician Gottfried Wilhelm claimed the printing press would “lead to a fall back into barbarism.” Yet few technologies have advanced as quickly the internet, which has spread rapidly thanks to the prevalence of laptops, smartphones, and tablets. The trend of too much tech, which some are calling “the new digital divide,” is prompting more affluent parents to opt for expensive tech-free options for schooling their children – something that is beyond the reach of most low-income parents. Regardless of how we view them, devices such as laptops and tablets are no longer a luxury but a necessity, and they are here to stay. They will likely become even more influential in learning (technology in education is a lucrative market projected to reach $21 billion by 2020). Today, more than half of primary and secondary schools in the US use Google education apps, and Chromebooks account for more than half the mobile devices shipped to schools. If anything, the opposite is occurring. This influx of technology is perpetuating the belief that adolescents are somehow innately tech savvy and can maneuver their way around the internet better than teachers – a perception that is hindering how we teach digital literacy. Not all tech savviness is created equal, especially when it comes to the lack of critical skills. Data shows that disadvantaged students tend to prefer face-to-face interactions over email, and playing video games over reading the news or using the Internet for learning. 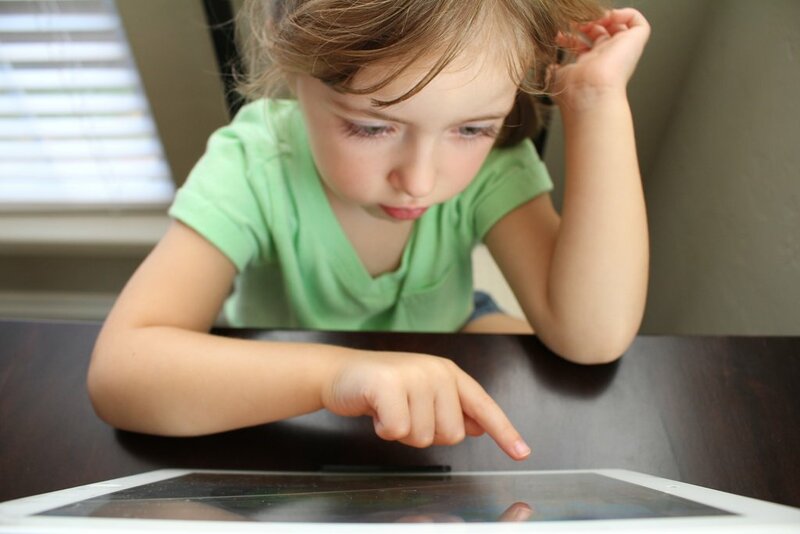 So what should schools and parents do to ensure they are effectively leveraging technology? While a Verizon documentary suggests a “three-pronged approach: connectivity, hardware access, and teacher training,” UNICEF’s answer is “to get everyone on board – teachers, entrepreneurs, parents, technology communities, charities and non-profits, and public policymakers.” Essentially, a whole systems solution is needed to make sure the Internet and devices are present in homes and schools, are working properly and with quick connectivity, and that all parties involved are trained and able to use them successfully. What we should be focusing on is quality – of both content and research-backed technology. If the future of classroom education means “teachers who use technology will replace those who don’t,” we should make sure they are given voices, feel empowered, and know what role they play in the digital “convergence” of the classroom. We should ensure they are being properly trained in the uses of education technology in the classroom and not just telling students to “Google it.” We should provide parents with training and education so that they can help their children utilize these technologies, not the other way around. We should make sure technology is being used as an educational tool, not a pacifier. We should realize the monumental impact technology can have in bridging the digital divide, but also understand that if gaps in access and skills are not identified and closed, technology will not equalize opportunity but deepen inequity. The digital revolution is more than access to devices and apps – it’s about a shift in the existing paradigm of technology’s place in learning. It’s about tackling realities regarding how and where technology trickles down, and who is falling through the cracks. “In a country where we expect free Wi-Fi with our coffee, why shouldn’t we have it in our schools? Why wouldn’t we have it available for our children’s education?” asked President Barack Obama back in 2013. The real question is: what then? Feature image courtesy of Hal Gatewood | Unsplash.